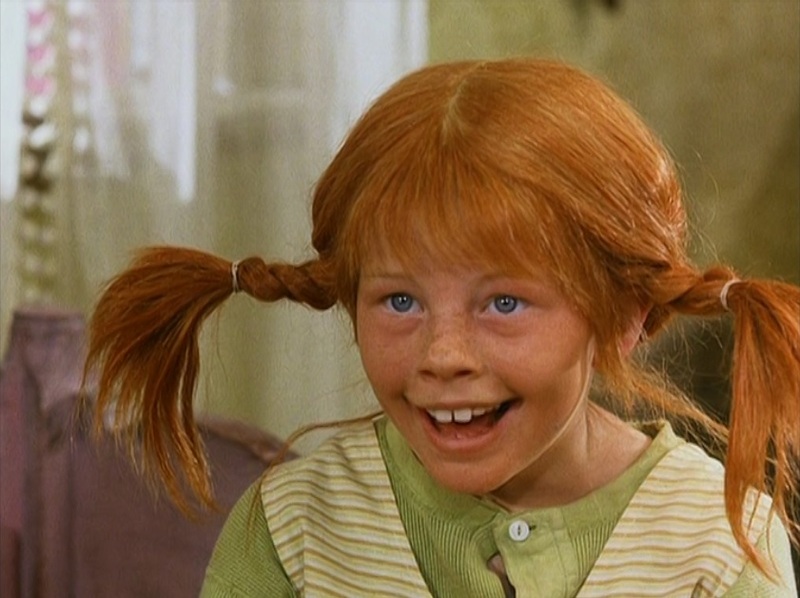 Some years back, the 13-episode Swedish Pippi Longstocking TV series from 1969, which starred Inger Nilsson as the world’s most awesome little girl, was released in a really, really overpriced box set. A little more reasonably-priced single-disk edition of the first six episodes was also made available, and we’re going to rampage through it over the next week. The series was a big success in Sweden, and was immediately followed up by two feature films using the same cast. Over the course of the 1970s, those two films, and a pair of compilation movies made from the TV show, were regulars on the kiddie matinee and summer library movie festival circuits. I saw at least three of them sitting on the carpet at the Lewis A. Ray public library over the years. Unfortunately for any grown-ups watching this, the new dubbing for this release is a pretty strong contender for just about the worst I’ve ever seen, and I say this as somebody whose good friends at Corn Pone Flicks compiled three features called Bad American Dubbing. I don’t recall what the 1970s dubbing was actually like, but the latest release sounds like it stripped the original soundtrack of music and background noises entirely, not just the voice track, and everything was recreated in the studio as cheaply as possible. 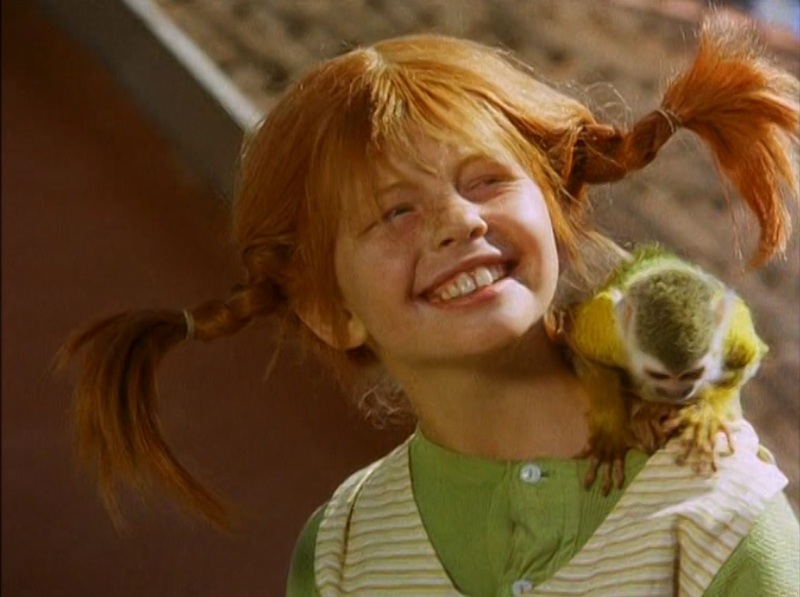 Pippi, Tommy, and “Anna” – evidently “Annika” sounded too Swedish or something – all sound like the same child, and the “actress” voicing Miss Priscilla doesn’t even appear to have looked at what the character is doing on screen, she just read the lines in a closet. But anyway, we’re off to a good start. The first episode sees the kids meeting their new neighbor, who repels both Miss Priscilla and the policemen Kling and Klang from their attempts to drag her to some children’s home. The mayhem is really quite mild, especially as Pippi’s bohemian lifestyle and superhuman strength are very slowly revealed, but the escalation of oddness really caught Daniel’s attention as the show went on. His attention wandered a bit early on, but I think that by the time Pippi has hoisted her horse over her head, a smiling warning that any policemen who come to bring down her party had better be prepared for a really terrific game of tag, he was captivated. The first episode was promising, and I hope the rest of the show captures the books’ spirit of adventure as much as I recall. It might; it was 1969 and people like Miss Priscilla hadn’t ruined children’s television yet.